Your job will be to help us conceive and work on strategic change initiatives for our clients that will prepare them for tomorrow’s challenges in today’s fast-changing digital world. We are involved in change projects at every stage, from strategic planning all the way through to execution. Project-driven work, a high level of diversity, prestigious clients, and complex issues highlighting digitalisation and the application of emerging technologies: do these things appeal to you as a young professional fresh from university? Then you’re just the person we’re looking for! As a PwC Consultant, your job will be to help us conceive and work on strategic change initiatives for our clients that will prepare them for tomorrow’s challenges in today’s fast-changing digital world. We are involved in change projects at every stage, from strategic planning all the way through to execution. In addition to a Consulting team for the financial and public sectors, PwC also has a Consulting team for the commercial sector. Following a period of dynamic growth, we are looking to expand this team. We are seeking consultants to work with international clients on innovative technological solutions. We will train you, offer individual coaching and provide plenty of support for your personal development. We are looking for candidates who are decisive, enjoy working with co-workers and clients, possess analytical skills, and find it important to continue taking on challenges and working on self-improvement. Is innovative, enterprising and not afraid to challenge the status quo. As part of a PwC project team, you will work with our clients on challenging and complex issues. That means that your work will vary considerably, allow you to explore different organisations from within, and work with clients to set up and successfully complete improvement initiatives. The PwC team that focuses on the commercial sector encompasses a wide range of competences. As a Consultant, you will represent one competence and work closely with co-workers from other areas of competence and, in many cases, with staff in our Deals, Audit and/or Tax business. You will be a member of an international project team. As a Supply Chain Management & Procurement Consultant, you will help our clients boost their added value by optimising their manufacturing, supply chain and procurement processes and organisation. For example, you’ll help them get acquainted with the latest digital and other trends, design and create new organisational structures, implement new supply chain concepts, optimise their international manufacturing footprint, and introduce Sales & Operations Planning, cost-reduction programmes, spending analyses and Lean Six Sigma process improvements. Your career is exactly that: yours. You make the decisions. We offer you opportunities. For example: the opportunity to do work that matters. To get the best out of yourself. To help build trust in society and solve important problems. We’ll guide you every step of the way, but always give you plenty of room to pursue your ambitions and make your own choices. Your job will be varied and you’ll work with prestigious clients. You’ll have access to a worldwide network and share your expertise, ideas and questions with the best professionals in your field and in other disciplines. You’ll be appreciated for who you are – and for what you do in an inspiring, inclusive, respectful and supportive work setting. At PwC, you’re in charge of your own career. As a Consultant, you’ll be part of a young, dynamic, multidisciplinary team that supports your personal and professional growth. Your work will be varied and will depend on the project, the client, the team specialists and your own preferences. Our comprehensive employment terms are designed to encourage your growth and allow for flexible working and living. 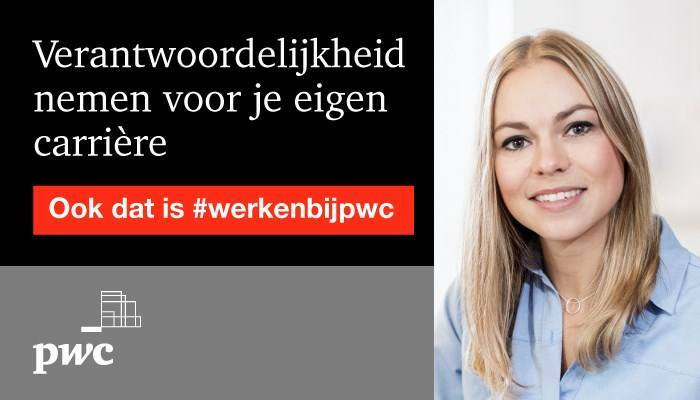 Please send your application for Consultant Supply Chain Management & Procurement at PwC in Amsterdam including your resume and motivation via our website.